Carry your belongings in the cultural style. 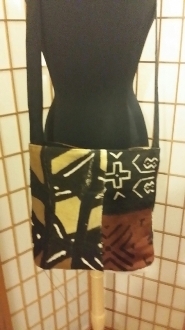 These mudcloth handbags are hand-crafted and hand-painted on authentic mudcloth. 13” X 11”. Made in Mali.